The Small Heritage Wood Handle Double Sided Brush is a multi-purpose tool which helps to simplify grooming and can be used on a large selection of coat types. 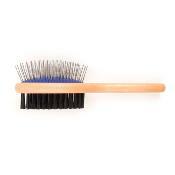 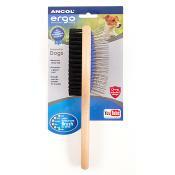 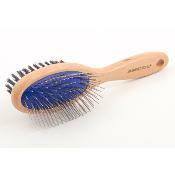 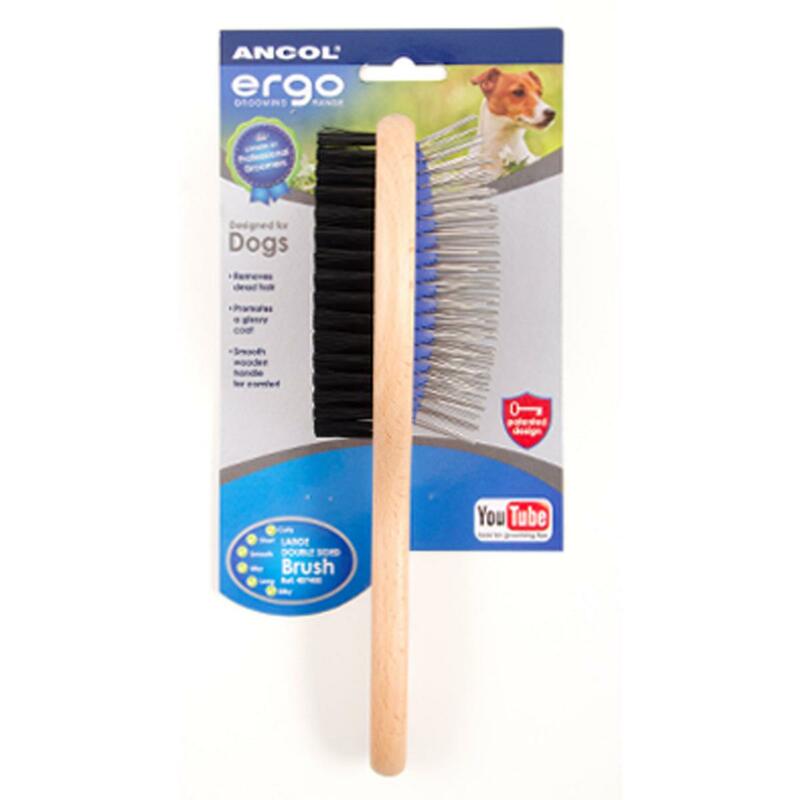 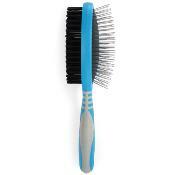 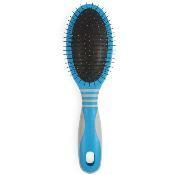 One side of the brush has stainless steel pins, with rounded edges, and is designed to tease out milder tangles and remove loose hair, while being gentle on your pet's skin. The bristled side can then be used to smooth the coat, distributing natural oils through your pet's coat, which is especially important after bathing.